This article was published in The Guardian last Friday and I'm re-publishing it here to provide as much extra coverage as possible. term or sustainable solution to bovine TB control that farmers so desperately need. Shooting badgers is politically motivated, not scientifically driven, and farmers need to realise they're being sold a lame duck. Over the years, I have managed some of the highest-yielding dairy herds in the world with consistently high levels of hygiene and disease resistance. Meticulous biosecurity and sympathetic animal husbandry are the key to stamping out TB in cattle, not shooting British wildlife. Farmers vilify badgers but TB is mainly transmitted cow to cow. So the solution to eradicating TB lies with farmers themselves who must accept responsibility for a disease that is all too easily spread back and forth within and between herds due to poor management, lax bio-security and substandard animal care. A slow response in tackling the disease compounds the problem, which can therefore soon reach epidemic proportions. I have seen it many times with mad cow disease, foot and mouth and now bovine TB. Alas, the farming industry prefers to scapegoat badgers rather than tackling these fundamental problems. Water troughs are a reservoir for TB because they are rarely cleaned out. It's not uncommon for trough water to be left stagnating through the winter, collecting dead birds, rodents and various bacteria, only to be drunk by cattle in the spring. Badgers also use these troughs but it's unfair to isolate badgers when the culprit is the bacteria soup itself. Making troughs badger-proof is not rocket science, but more fundamental is the adoption of better hygiene standards by the agricultural industry. Lax bio-security on farms is also a major factor. Cows infected with TB should be quarantined immediately, but they rarely are. Every farm should have isolation areas to separate these animals and prevent cross-infection, but they rarely do. Bio-security is often ignored by farmers and poorly enforced by Defra. 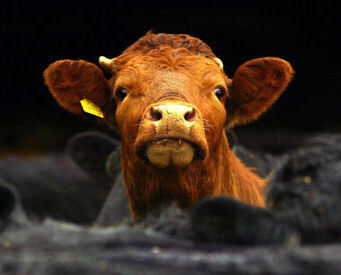 Infected cows can be left unquarantined on farms for weeks. Before a single badger is shot, the farming industry should get its house in order. We also need to improve cattle welfare. Farm animal stress caused by pain and suffering can reduce an animal's immunity and make it more susceptible to diseases like bovine TB. On too many farms, there are high levels of lameness, mastitis and rough animal handling. The average incidence of lameness in our national herd is a shameful 22%. This is lazy husbandry. We have a wealth of veterinary knowledge to eradicate disease, and in countries with more advanced control measures there are very low incidences of bovine TB. So as Defra ministers sign the death sentence for thousands of England's badgers, my message to them is this. Not in my name. 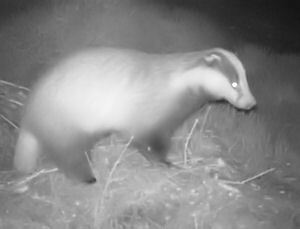 Not in my name should you hoodwink the public into thinking that killing badgers will help struggling farmers, because you are betraying farmers with this unscientific policy. If you really wanted to help farming, you would help it reform and modernise, you'd actively support rather than hinder badger vaccination, you'd take the fight to Europe to green-light cattle vaccination. But instead, it's far cheaper and easier to just let farmers kill badgers. More than 120,000 people so far have signed an e-petition calling for the government to kill the cull. For the sake of democracy, science, animal welfare, conservation and farming, I hope they listen. Let's hope the Government starts to see sense over this issue and formulates a change of strategy. Great posting! Thanks for sharing this good stuff. Thanks for posting this. I have long been a follower of Brian May's campaign to stop this ludicrous cull.